Have you ever been stunned by luck, good or bad? I was moved by this wretched book that has gone and done it for me. I only wanted a book of essays to read in my free time, instead I picked this book up, which threw an egg blender in the way I looked at.. life. P. Sainath is a journalist who has travelled through, and stayed in, the most backward districts in the country to recount to us what the poorest of the poor have to deal with on a day-to-day basis. 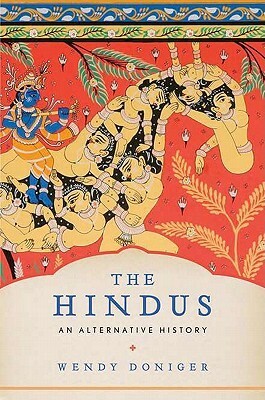 In a display of some superb journalism, he narrates the most morbid of tales, from Tamil Nadu, Bihar, Madhya Pradesh, Orissa and Andhra Pradesh, of bad luck, of terribly screwed up interventions by the government, of horrible money lenders, of bonded labourers, of not a whiff of education, of beautiful lands being pillaged and beautiful people being cheated of their living and life, and in the same stories he leaves us with a feeling of hope, ad reminds us that there is still some humanism that prevails, which seeps through the administration and NGOs. On reading each of the essays, I thought, wow, this one ought to have kicked up a storm. 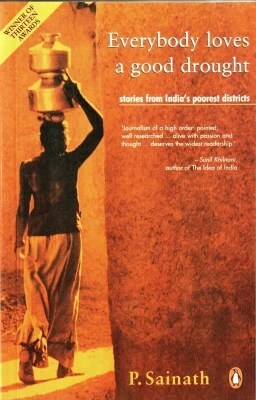 Sainath’s essays in Everybody loves a good drought were published in 1996, in Times of India. Back then, (usually) the articles had the effect that he intended them to have – government intervention. But, often, this intervention was so miscalculated and misjudged that one simply can’t believe how hapless the people must feel. But here’s the clincher: the oppressed, downtrodden, don’t feel sorry for themselves. Of course we knew that. This belief is firmly entrenched in me, after reading anecdotes in the essays, such as the one about Paharia women of Godda, Bihar, carrying 40-50kg firewood over their heads, and walking through two or three hillocks, covering 40 km, to reach the haat, the market place for firewood, all for 8 or 9 rupees. 40-50kg on their heads, for 40km of climbing up and down hillocks, for 8 or 9 rupees. The biggest takeaway from the book, for me, was the same spirit that many of the people in the book displayed. That of “all is not lost”, of hope, of a deep-seated want to change their fortunes, to enable them to live decent lives. Schools are converted into cowsheds, health care centres act as private clinics for quacks, landless labourers are converted to bonded labourers (bonded labour is banned in India, but still thrives, because of a lack of choice in employment), illicit liquor (arrack) is brewed using battery cells for a living, girls are sold to make ends meet, people are indiscriminately sent off (to their deaths) from their lands by the government, districts that are supposed to be under schemes for drought prevention are not while districts that have a decent amount of rainfall are, making a mockery of the system in place. The book tells us that we need to proactively and affirmatively deal with the pain and suffering, illiteracy and loss, poverty and drought, and all those other ‘day-to-day’ things of the poor. Everybody loves a good drought also states the obvious – that a drought can be loved by the powerful or is hated by the affected, but is often ignored. Droughts are always covered as though the land has been tonsured – desertified, brown, with cracked ground. Fact is, there is the kind of drought that occurs even in the more green places with tall trees and green bushes, simply owing to the fact that they are grossly unprepared for seasons short of rainfall, year after year. In 2015, some woodcutters who were robbing red sanders trees from Seshachalam forests were gunned down by the police. It doesn’t take too much extrapolation from what is known to say that those woodcutters, most of them tribals, were pushed into the whims of the timber-mafia, that they were, in all probability, tied to, with little choice. A little digging will tell you that they came from acute poverty and illiteracy. The demons were created by the system; one of them has been admonished, but all of them remain, and they will continue to haunt us until we address the reasons behind poverty, behind criminal action. Sainath feels that focussing on events such as droughts, farmer suicides, crop failure, famine is a superficial and the lamest form of understanding a phenomena. Indeed, any event is a side-effect of the underlying factors which are duly ignored, because, well, maybe if we ignore it, it will go away? Bah. Who wants to listen to these stories that are so hard to digest anyway?